As simple as it seems, picking the best hunting binocular under $200 can be a bit daunting. Not only are there so many features to think about but also different binoculars are made with different features to fit different needs. 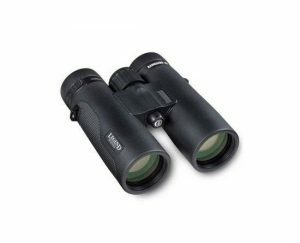 So how do you go about picking a budget binocular for hunting, bird watching or even watching wildlife? Well, we have a list of five hunting binoculars that will work just fine for your budget. Check them out. 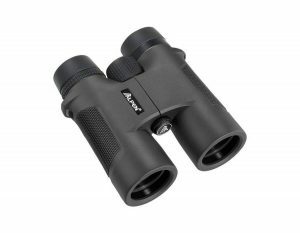 What is the Best Hunting Binocular Under 200$ in 2018? 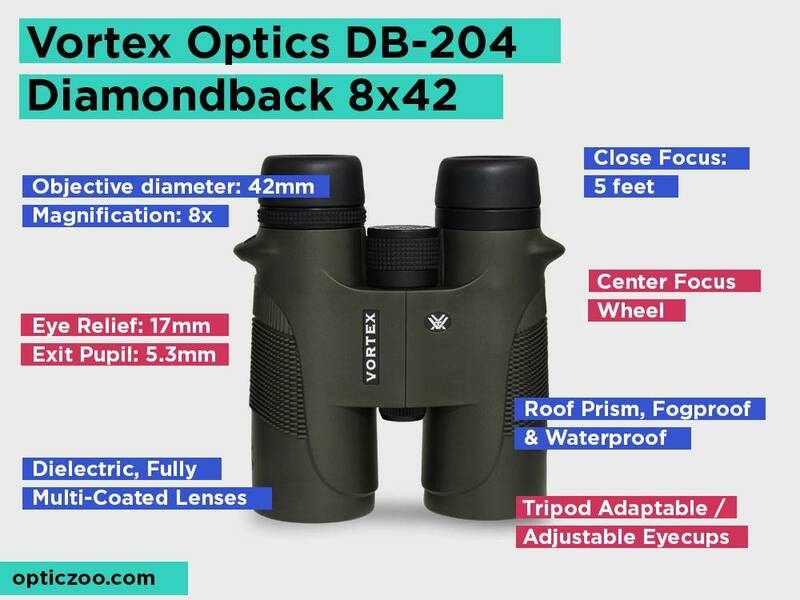 Vortex Optics DB-204 Diamondback 8x42 17mm Fully-multicoated Roof prism 5.3mm 21.8oz Check price! 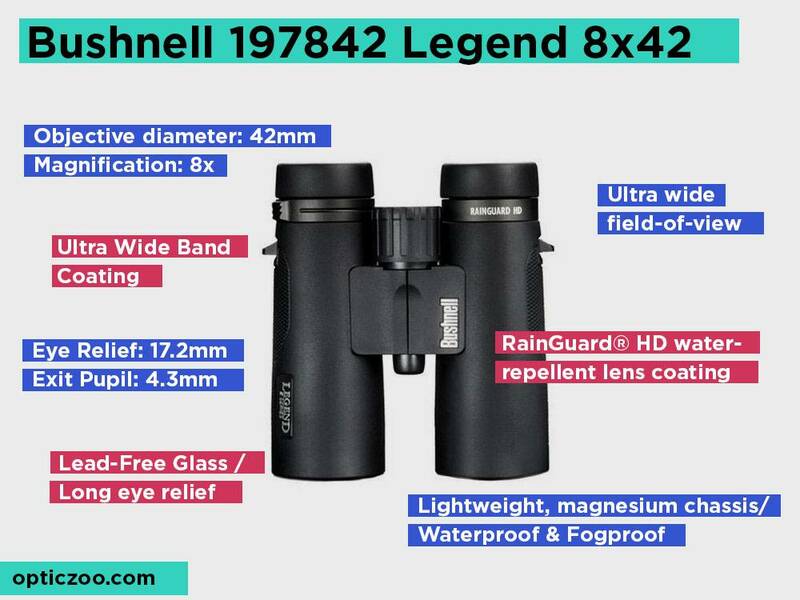 Bushnell 197842 Legend Ultra HD E-Series 8x42 17.2mm Fully-multicoated Roof prism 4.3mm 23oz Check price! Alpen Outdoor Corp. 396SP SHASTA PEAK 10x42 16mm Fully-multicoated Roof prism 4.2mm 26oz Check price! 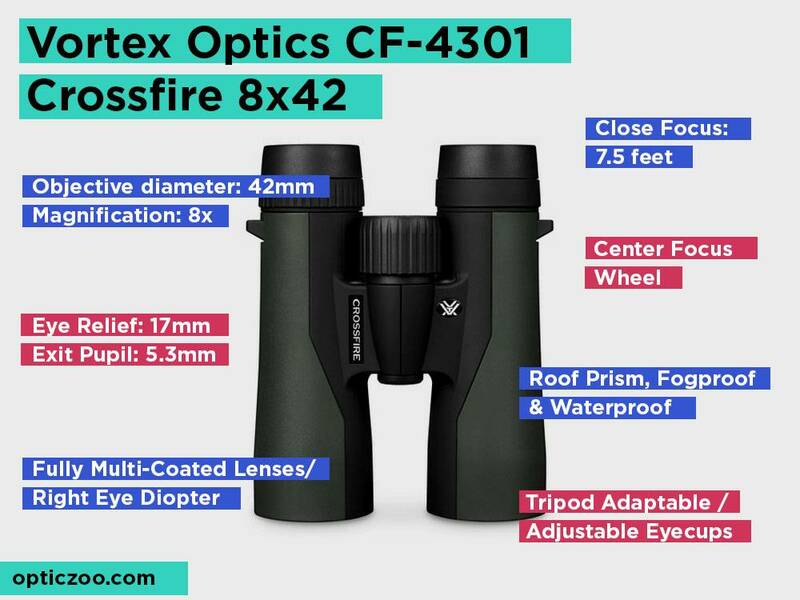 Vortex Optics CF-4301 Crossfire 8x42 17mm Fully-multicoated Roof prism 5.3mm 23.5oz Check price! Nikon 7576 MONARCH 5 8x42 19.5mm Fully-multicoated Roof prism 5.25mm 20.8oz Check price! 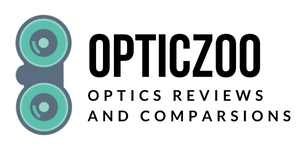 In the world of optics, Vortex has proven to be the yardstick of price and performance. We had to kick off our list with the Vortex Optics DB-204 Diamondback 8×42 for the simple reason that it offers quality performance for anyone looking for budget-friendly hunting optics that do not compromise on enhanced resolution and contrast. It has a rugged but comfortable construct that is also portable weighing only 21.8 oZ. To further enhance its fog and water resistance, its housing comes with an O-ring seal plus it’s purged with argon gas to get rid of the vacuum effect. On top of that, the fact that it’s a new release of the Vortex Optics DB-204 Diamondback 8×42 line gives it an edge. Compared to its predecessors, the Diamondback has a portable design that is easy to hold thanks to a slip-resistant rubber armor exterior. When it comes to optics, this binocular is made up of a roof prism design which popular among premium binoculars and makes it much more durable and rugged. Furthermore, the dielectric fully multicoated lenses enable this binocular to deliver a close focus distance at 5ft. Plus, the images appear bright and full of natural colors thanks to a decent level of light transmission. Basically this binocular gives you an ultra wide field of view that lets you cover more ground with minimal effort whether you are out hunting or viewing wildlife. If you are looking for clarity and focus that compares well with the premium binoculars in the market, the Vortex Optics DB-204 Diamondback 8×42 makes a compelling option. Not only is it capable of producing brighter and clearer viewing with a quality focus, but it also boasts of a durable construction that will last years. Furthermore, the lifetime warranty that comes with is another reason you should consider getting your hands on it at its price range. The only drawbacks include some complaints about resistance with the focus knob and that the lens cover seems a little cheap. Bushnell 197842 Legend Ultra HD E-Series 8×42 was made with the hunters, wildlife watchers, and explorers in mind. It boasts of premium optics that fit the needs of any outdoor enthusiast plus a fashionable yet rugged chassis that has a rubber –coated magnesium for durability. It’s a decent choice for top-notch color rendition thanks to an incredibly bright viewing with its lead-free glass lenses. With a long eye relief and an ultra-wide field of view, Bushnell 197842 Legend Ultra HD E-Series 8×42 presents comfortable viewing as well. The twist-up eyecup is also easy to adjust adding to the comfort it delivers even for people wearing glasses. A long eye relief on any binocular adds to the comfortable experience of using it. This binocular goes beyond this to give you twist up eye cups which is great especially if you wear glasses. Bushnell gives you a lifetime warranty as well such that with this binocular you can be sure of long-lasting durability. You don’t have to worry about misguided breath or fog getting in the way of your viewing as the Bushnell 197842 Legend Ultra HD E-Series 8×42 comes with a patented water-repellent coating that causes snow, rain or even moisture from your breath to scatter and condense away clearing up your view. If you are in the zone with extreme weather conditions, the RainGuard lens also adds an extra layer of protection. At its price range and for its features, Alpen Outdoor Corp. 396SP SHASTA PEAK 10×42 is practically a steal. It is designed for the entry-level optics enthusiast and boasts of a bunch of positive reviews from users. This one here comes in a 10×42 configuration and features a compact roof prism making it easily portable for a safari. 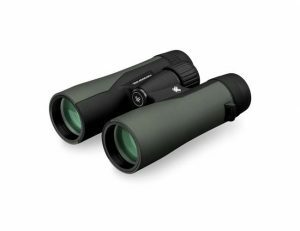 You will find a BaK4 glass that is similar to what you get with higher end binoculars. For durability, it features a rubber armoring not to mention a soft rubber rain guard that is also easy to clean. It’s a waterproof binocular that is sealed with an o-ring and filled with nitrogen to prevent fog from getting trapped inside. Convenience is top of mind for this binocular, especially for glass wearers. There is a twist-up eyecup that positions you at the right viewing distance and the no-fault no problem warranty gives users peace of mind which is simply remarkable. 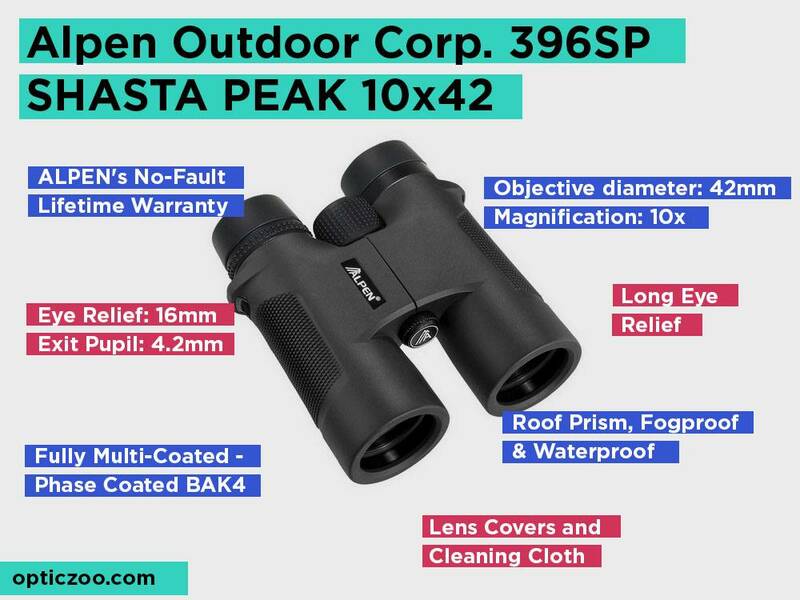 Alpen Outdoor Corp. 396SP SHASTA PEAK 10×42 makes a decent pick for anyone who enjoys a reasonably priced binocular for their hunting and safari trips. When you get your hands on it, you might find that the central focus is a bit stiff however once your break into it after a while, this should not be much of a problem. It’s a decent pick even for glass wearers thanks to a twist-up eyecup that enables comfortable viewing. The diopter is also adjustable and the overall soft rubber lens cover provides a rugged housing to the binocular for durability. Besides, there are little complaints about it so far which is a good sign as well. 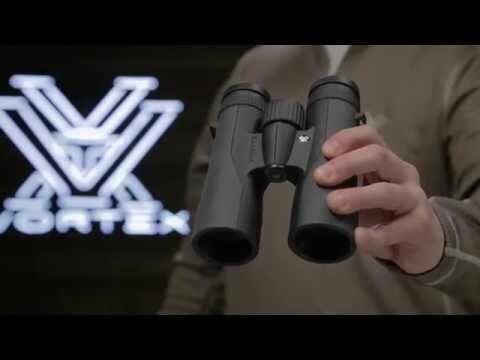 By now it’s pretty obvious that Vortex dominates the market when it comes to binoculars that are budget friendly yet boasting of a quality construct. With the Vortex Optics CF-4301 Crossfire 8×42, you get a first class build quality that Vortex is known for but most importantly this binocular comes with all the right optic features for bow hunting. Although it’s an entry-level binocular, it brings about an enhanced depth of field not to mention a close range focus of 7.5 ft. It boasts of a fully multicoated lens this binocular delivers an impressive view with a decent light transmission. You also get a lens cover and with an overall weight of about 30 ounces, this binocular is one of the most portable and lightweight designs you will find out there. It has a wide field of view that is easy to use while hunting. The 8x magnification and the fully-multicoated lenses make it a good performer in terms of light transmission. Besides, its rugged build quality features nitrogen purging for all weather conditions which is nothing to sneeze about. The performance of the Vortex Optics CF-4301 Crossfire 8×42 is pretty much on its own league especially if you consider the features and its price range. Just like every other Vortex product, this one also includes a lifetime warranty and if reviews from other users are anything to go by, this binocular is a good pick for those looking for a budget option with premium features. 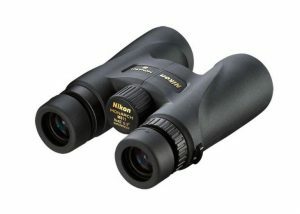 The Nikon 7576 MONARCH 5 8×42 is by far the most expensive binocular on our list. But this should not discourage you; this binocular is worth every penny. In fact, it barely made it to the under $200 price but with its features, this Binocular presents a compelling choice for those who are willing to splurge a little for the extra features. First of all, like every other binocular in our list, the Nikon 7576 MONARCH 5 8×42 features a fully multicoated Eco-Glass Lenses for high levels of light transmission across the entire light spectrum. It offers quality optics performance. This binocular brings about accurate color reproduction with its dielectric high-reflective multilayer prism coating. In fact, compared to its predecessors, the Nikon 7576 MONARCH 5 8×42 features improved resolution for a more natural viewing. The housing of the binocular is also made to fit its asking price. You can put it through the paces as it’s designed to withstand fog and water with its armored and durable housing. For comfort viewing, it comes with rubber eyecups and a central focus that is smooth and easy to use for your convenience. When it comes to remarkable viewing, the Nikon 7576 MONARCH 5 8×42 sits at the top making it worth the slightly higher price tag. It’s easy and enjoyable to use thanks to a high eye-point design that works well even for those with glasses. With its small compact size, its obvious Nikon had portability in mind while making this binocular. 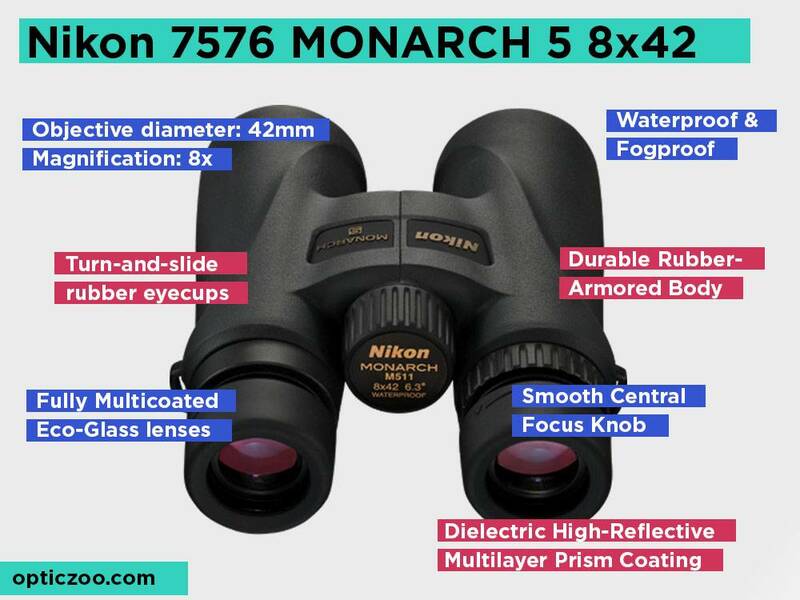 So whether you are planning to go bird watching or a trip to the Serengeti to view wildlife, the Nikon 7576 MONARCH 5 8×42 simply won’t disappoint. 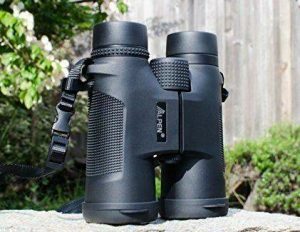 With just $200 you can grab yourself a high-quality binocular that features clarity and sophistication that optics enthusiasts have come to expect with pricier options. However, it might require that you do some research to understand exactly what you need. This guide will take you through some fundamental features to look out for in a budget binocular. How will you use your binoculars? First things first, you need to know how you are going to use the binocular. It might seem trivial but different binoculars come with features that suit different viewing needs. For instance, if you are an astronomer, you would need a binocular with different features compared to a hunter or bird watcher. A sport like fishing, for instance, might require you to get binocular with a large field of view so that you can detect fast moving objects. Bird watchers and hunters, on the other hand, will prefer high magnification with a relatively smaller field of view as it helps to spot the tiniest objects in the thick forest. Most of the products we have listed suit a bird watcher, hunters, and wildlife watchers. Most if not all of the above-listed binoculars fall in the $200 price range. Even though you can still find decent options under $100 or even at $50 it makes more sense to go with a high quality and durable options even if it means spending extra. After all, most of the binoculars come with a lifetime warranty which is convenient for avid bird watchers and hunters looking to invest in the right gear for the long run. What’s more important between portability and power? Glad you asked and the answer here depends on how you plan to use the binocular. The good thing is that most manufacturers have improved on their designs and you no longer have to choose since most products feature portable designs that are still capable of delivering clarity and superb magnification. However, bird watchers prefer powerful optics over portability and therefore go with high-end options that might be a little heavy. Hiking enthusiasts, on the other hand, prefer portability over powerful optics. If you wear glasses, you are obviously concerned about eye relief especially if it’s your first time using binoculars. Well, to begin with, a binoculars eye relief basically refers to the eyepiece to eye distance and according to various reviews form glass wearers, a binocular with a longer eye relief is most preferable. Plus you can prevent the binoculars from smudging your glasses with a longer eye relief which is great. Ultimately, you get more comfortable viewing with your glasses on so keep that in mind. What are the most important features to consider? Well, just like any other product out there, picking a binocular that works for your needs revolve around having the right features for your needs. Basically, it’s the difference between picking a binocular that you love against having to compromise with a mediocre product. So without further ado let’s take a closer look at some important features to think about before a purchase. The field of view in a binocular simply refers to how far off you can see with your binocular. With more expensive binoculars, you get high-quality optics that offer a much greater field of view than cheaper options. If you are planning to use your binocular to watch wildlife, a good idea would be to go with a larger field of view so as to be able to see fast moving objects. If you are looking to enlarge your images with a larger field of view, picking a binocular with a powerful magnification will be a solid choice. Most options range between an 8x to about 10x magnification to provide a more realistic natural looking image after magnification. If you are on a tight budget, the build quality is one of the features you might want to compromise on. As long as you have powerful optics, taking good care of the binocular will work just fine. However, for hiking enthusiasts who usually put their binocular through the paces in an extreme environment, going with a rugged build quality with waterproof design and rubberized coating is a good option. The lenses quality depends on the size of the lens, the coating mechanism, and overall build quality. The coating is an anti-reflective layer that keeps the light from bouncing. A binocular with multi-coating allows more light to get to your eyes through the eyepiece meaning brighter images with distinguishable colors. Coated – as discussed, this represents lenses with a single layer of antireflection coating. Multi-coated – here is where the binoculars get a little pricey as the lenses come with multiple layers of antireflection coating. With a multi-coated lens, you get effective light transmittance for brighter viewing with clarity. Fully-multi-coated– with premium binoculars you will want them to have a fully multi-coated pair of lenses. This means that all air to glass surfaces on the lens has been coated with multiple anti-reflection coating layers for superior image clarity and viewing. Dielectric mirror coating – these types of lenses mostly feature a roof prism that acts as a nonmetallic dielectric reflective surface to offer a 99 percent light transmittance. The viewer seeing an image with a dielectric coated lens will see more natural realistic images. One of the main distinguishable features about binoculars is their shape. While some come with straight tubes and more compact bodies, others feature lens tubes that are offset from the eyepiece. These differences in shape and sizes are related to the inner working mechanisms of the binoculars. It might seem a bit complicated but to put it simply, binoculars work with prisms that reflect light and magnify images so that you end up with the right side up orientation of the image in the eyepiece. This requires a complex arrangement of prisms in the lenses and there are two designs that are common so far. 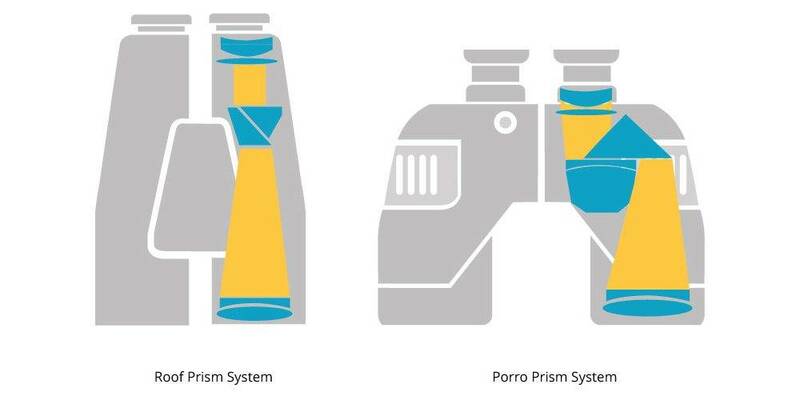 Porro prism binoculars: these are the one with an offset lens tube to the eyepiece. They feature prisms that are arranged at an angle from the eyepiece and usually make up larger binoculars. Roof prism binocular: these prism arrangements are common in straight tube binocular and represent an early design that allows for a more compact binocular with less light transmission when compared to Porro-prism designs. 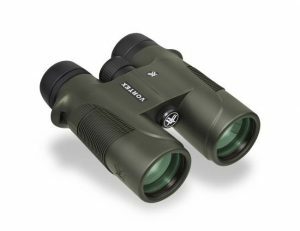 If you are going for a bird watching gear and you don’t have enough to spend on optics with powerful magnification, a quick solution would be to get a spotting scope that lets you increase your zoom to up to 50 times. If you are unable to establish a balanced viewing, an easy trick would be to adjust the diopter ring. Most users only adjust the focus ring. However, if you play around with the diopter ring, you can achieve a balanced viewing than you previously expected. It can get a bit frustrating trying to locate your target especially if you are using a high magnification binocular. An easy trick would be to use your naked eye to locate a landmark then while keeping your eyes locked to the landmark raise your binoculars to locate the subject. 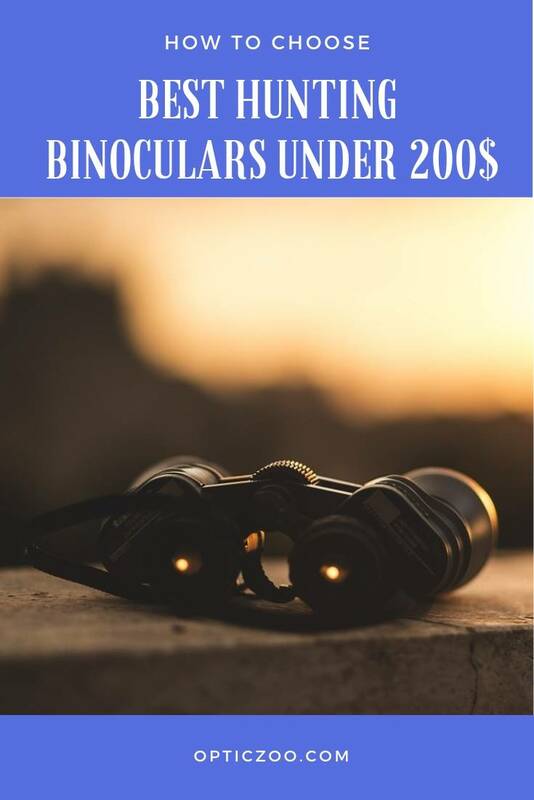 If you are just getting started with binoculars, there are plenty of budget options to choose from even if you are on a budget of $200. The good thing is that now you know where to start from. Check out our list to find what works for your needs as we have considered performance as well as budget while picking the 5 best products. Plus with our buyer’s guide, you will be better informed and manage to pick a binocular with the right features for your needs.